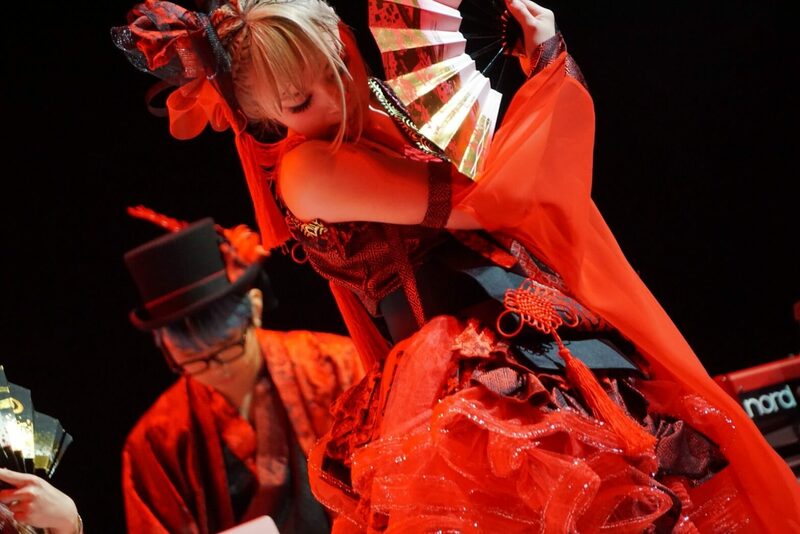 GARNiDELiA is a Japanese pop rock duo made up of singer MARiA and composer toku. Since forming in 2010, they have come to build a huge online presence collecting well over 100 million music video views. 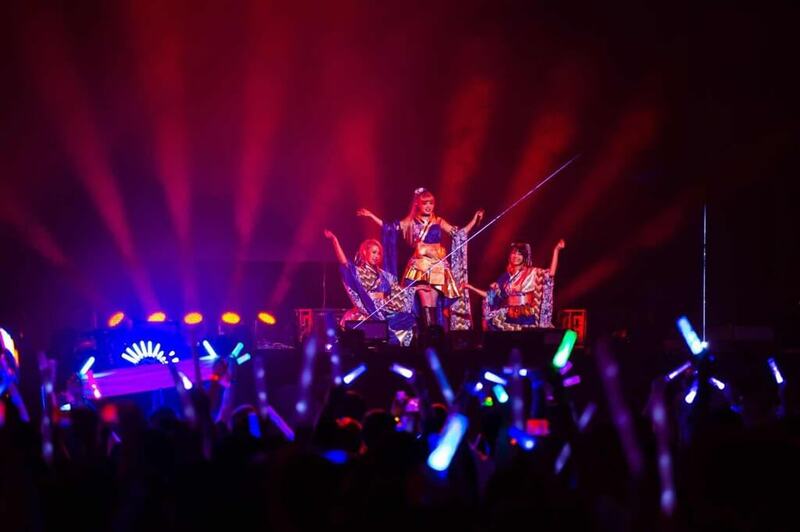 The pair are currently in the midst of their 2019 “Kyoki Ranbu” Asia tour. In their home country of Japan they are well known for their back catalogue of hit anime songs, but did you know they are boast immense popularity in China too? They in fact hold the No. 1 spot on both the country’s music streaming service QQ Music and video sharing website Bilibili. This came about after they uploaded their dance video for Gokuraku Jodo which features dancing from GARNiDELiA’s own MARiA and two others, Miume and 217. This was the first dance video in what has come to be a series of ongoing videos. 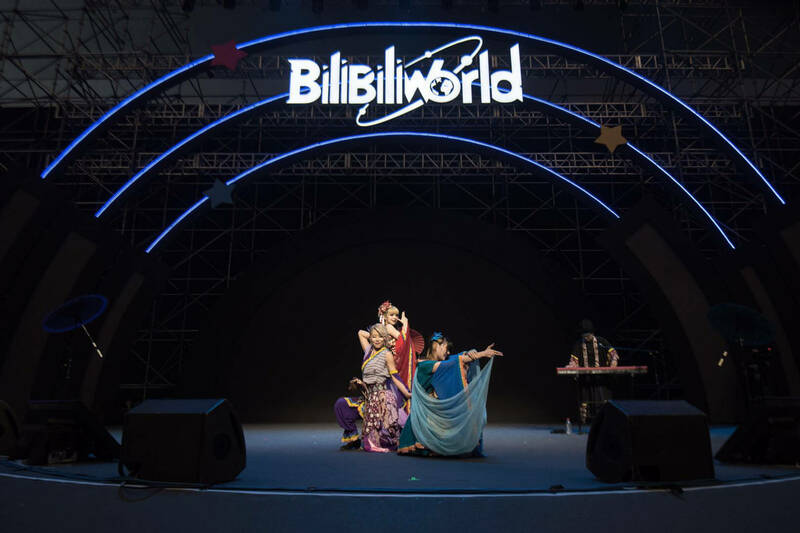 The video, which was originally posted YouTube, was reposted onto Bilibili by Chinese fans which kindled a blaze of excitement surrounding GARNiDELiA. Since 2014, the duo’s overseas activity has continued to grow. We spoke to both of them about how after their solo show in China they went on to enjoy a surge of popularity in the country, from collaborations with popular mobile games and online animations to being invited to countless events. 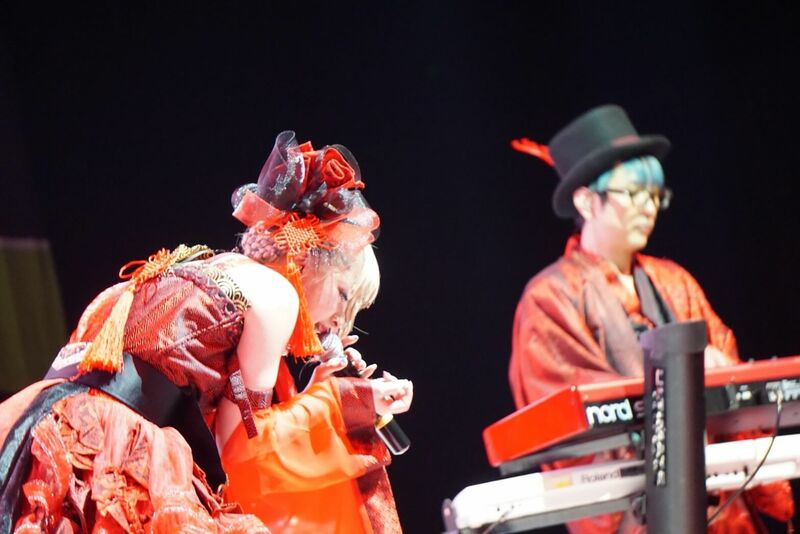 ――GARNiDELiA’s popularity in China is something amazing, isn’t it? MARiA: We never imagined it would become as it has done. The online world is amazing. You never know that there could be a chance on there somewhere. It began with our video being reposted online, something we didn’t know about, and word about us spread. ――Things online spread both like word-of-mouth on the street and like media news. ――When was your first solo concert in China? MARiA: May 2017, but we were on edge whether we’d made fans. After that we were invited to events in China for what felt like, and we came to realise that we might actually be popular! That’s why we were allowed to headline the Bilibili event despite being Japanese. It began to sink in after that, so we wrote the song Tougen Renka which is a nod to China. Our YouTube views also began to rapidly grow as did the comments not just from China but from various countries. It strengthened our want to spread around the world. ――You were active overseas even before you had the chance to do all of these things in China, weren’t you? MARiA: Yes, in the anime culture side of things. ――Even though your entryway was anime, your popularity grew from the phenomenon surrounding your dance video series. MARiA: That’s right. Up until Gokuraku Jodo became a hit in China, we were strongly associated with anime. As well as that, we were also give the chance to go to lots of different events overseas. We thought, if we’re being invited to this many events outside of Japan, we must be spreading Japanese culture as Japanese people, and so we wrote the Japanese-style song Gokuraku Jodo. We had France, Europe and the West in mind when writing it rather than Asia, but it hit the with people mark in China. ――How did it feel to perform in China? MARiA: Depending on what country we’re in we completely change the set list. If it’s somewhere like America or Europe we go for EDM. Rather than song arrangements like in the dance video series we go for songs that are more like hard club music. If it’s an anime event, we focus on anime songs. But since our Chinese fans came to know about us from our dance video series we mainly focus on those songs. We’ll even perform Gokuraku Jodo twice, it’s the one that got our name out there. They go crazy. It makes me think how much they really like us. I am so thankful. ――Are you popular on Chinese video streaming sites like Bilibili and music subscription services like QQ Music? MARiA: We’ve reached No. 1 on them. We’re so thankful for it. They’re always excited when we release new material. MARiA: On Bilibili, we’re ranked No. 1 not in the music section but overall. I was really amazed. toku: They’ve even let us headline the Bilibili event two years in a row. ――You’ve really made your name known. MARiA: I wonder about that. There are lots of people on the internet and a lot of material coming out every day. I’m thinking many things about what to do next while being conscious about how difficult it is to stand out from the rest. Thanks to Gokuraku Jodo, Chinese businesses have taken notice of us. As a result, we’ve had talks with them about doing theme songs for Chinese anime and video games, and the number of people who know about us has increased. We’re so grateful. MARiA: About that. I actually studied Chinese once before an interview. It’s a hard language to study. But the fans who come to our shows study Japanese for us. We’re spoiled when it comes to that [Laughs]. I more or less study every day. ――The townscape of China seems to be evolving doesn’t it? The speed of their technological development is so fast. MARiA: It’s even more flashy than Japan. Having an LED screen as part of the equipment in a venue is natural to them. Even if you’re watching [us live] on Bilibili they are fanatics when it comes to video editing. Their craft is high level. It feels high tech. ――So how about making a high tech dance video? MARiA: We’d need to work hard for that to happen. ――Getting to take your music overseas is a musician’s blessing isn’t it? toku: It sure is. It was one of my dreams, but I never expected it to happen. Fortunately because of that I want ring our songs through different countries. ―― So this tour is taking you to Hong Kong, Shangai, Beijing, Singapore, Chongqing, Shenzhen, Taipei, and then Japan? MARiA: Yeah. It’s our first time in Singapore. This tour is in support of our album Kyouki Ranbu. What gave us the opportunity to go on tour in Asia in the first place was of course in part due to our songs in collaboration with anime series, but I also believe it’s because of the songs in the dance video series. We want to take the songs in that series and put on a tour where we can dance wildly with everyone just like the name of the album suggests. ――Your goals as a band will grow in the future, won’t they? MARiA: It feels like a future that we never imagined three years ago is spreading before us right now. Our situation changes every single time we release something, so although I think it can be tough catching up with one of our releases, or our circumstances, I’m happy that there are people waiting for something new from us. ――The comments people write have been amazing, haven’t yet? MARiA: They really have. Another thing is that we need to evolve, not just now, but five years from now too. This year marks five year since our major debut. When we arrive at 10 years I want us to be doing an Asia tour and performing overseas. And at bigger venues. I want our music to reach lots of countries. If we want that to happen we have to be thinking every day. ――You’ll need the language acquisition. MARiA: We will. I also want to increase the number of places where people can remember our faces, not just in videos. We have just reached 1 million followers on Weibo [Chinese Twitter]. We were at around 300,000 only just a little while ago. The number increasing like that it’s a common occurrence. I couldn’t keep up. I was like, ‘Whoa, hold on.’ The speed was crazy. ――Do you use Chinese on there too? MARiA: I try my best to write in Chinese, but I end up mixing it with Japanese. toku: When that happens our fans translate it for us. We’re thankful for that. MARiA: For sure. Our fans even translate it into Japanese. But we shouldn’t take advantage of or depend on it. ――You released your new single REBEL FLAG in Japan on March 13. It’s a hard, fast-paced number. toku: There was a request from the anime producers for a rock sound. It’s quite us, like it’s come full circle to where we started. It’s also a compilation of 5 years of being together. MARiA: This song is the ending theme for the TV anime series Magical Girl Spec-Ops Asuka. We read the script thoroughly and wrote the song about the protagonist Asuka’s feelings while looking back out how we’ve continued to fight through things ourselves. We’ve had a battle with categorising ourselves. We’ve always thought that we don’t want to fix into a single box when it comes to genres. Like, you can’t pinpoint our individuality. Everyone who has come to know about us has done so differently. There are people who know us from anime or online and probably even fashion. The song is filled with our determination and readiness, like we’re saying we’ve got a lot left to give. ――If you were to send a message to your Chinese listeners going on your tour what would you say? MARiA: Everyone in China has widened our possibilities. They have given us so many chances, and I am grateful for that. Our activity there is split about half and half with Japan, so it feels like a second home country. That’s how much everyone in China means to me, I love them. I’m happy we get to perform at so many places on this tour. I want to go and meet with everyone lots this year too, not just on tour but at upcoming events and elsewhere too . I look forward to seeing you all. toku: People in China are really perceptible to new things. They have great strength to acquire the things they really like and want. If our music fits into that, then I would love for more people to hear us. Thank you so much for everything as always. 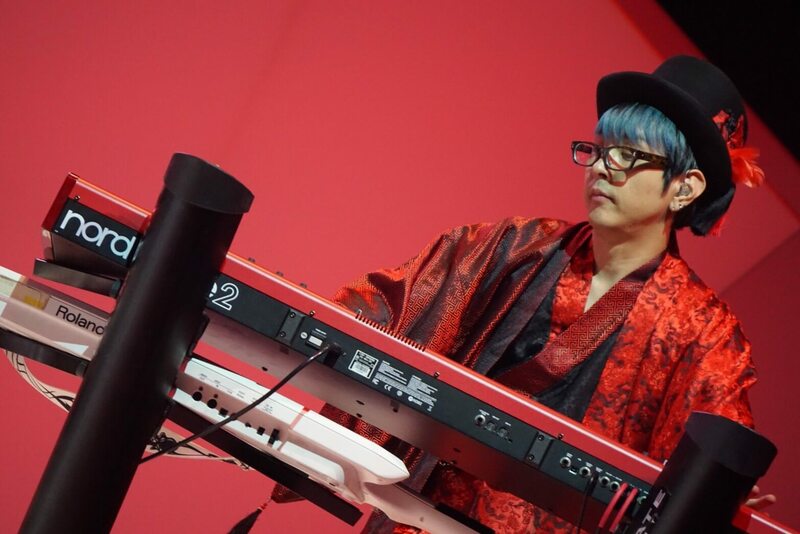 ――Your Asia tour will continue in Singapore on April 13, Chongqing on May 11, Shenzhen on May 25, Taipei on June 1, and finally Omiya Sonic City in Japan on August 3. MARiA: We will also perform at our label’s event “SACRA MUSIC FES.2019 -NEW GENERATION-” at Makuhari Messe on May 18. Speaking of which, our overseas fans actually come to see us in Japan too. It’s easier to buy our CD’s in Japan. And when we do things like signings at release events lots of people from their countries too. CD’s are a kind of merchandise. And our songs can also be streamed overseas. If you’re Japanese or living abroad, please look forward to GARNiDELiA touring, our merchandise and performances at events.